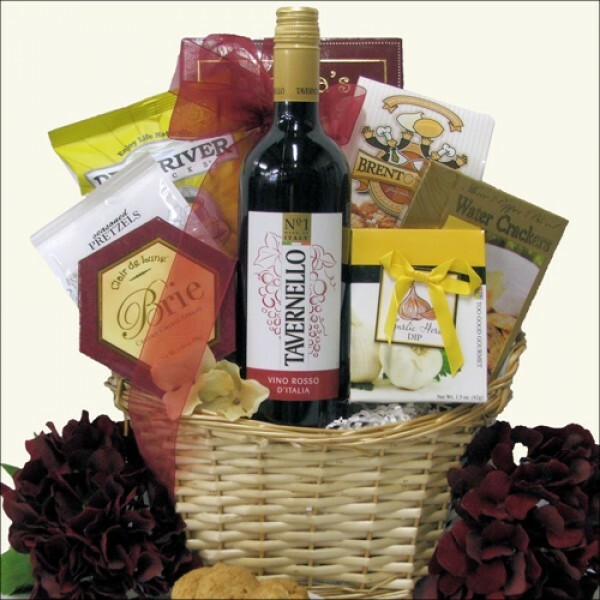 They are going to love to receive this wonderful wine gift basket that features a delicious bottle of wine and yummy snacks to compliment it. The Tavernello Vino Rosso Italian wine is Italy's Number One selling wine filled with delicate floral aromas and dark fruits. Also included is Cheese, Crackers, Garlic Herb Dip Mix and other fantastic snacks. A big gift at a modest price. ...in an Oval Gift Basket.